So far Silke Bolte has created 10 blog entries. 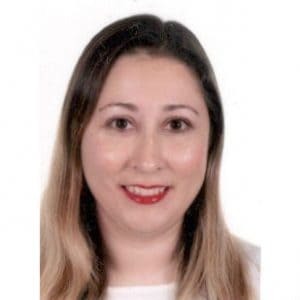 CellGenix is proud to announce that Miriam Ramirez Dominguez was awarded the CellGenix stipend for the novel Master program in Manufacturing of Advanced Therapy Medicinal Products. Miriam will specialize as Qualified Person as this will allow her to work as a Technical Director in a GMP Facility, the next step in her career. We wish her every succes in taking the master program! With the participation of CellGenix a new International Technical Standard was released by the International Organization of Standardization (ISO) providing guidance for ancillary material (AM) suppliers to maintain a high level of lot-to-lot consitency in the aspects of indentity, purity, stability, biosafety, performance, as well as the accompanying documentation. We very much appreciate this new guideline as it will help to clearify and thus simplify the requirements for ancillary materials. CellGenix’ CEO Prof. Dr. Felicia M. Rosenthal has been awarded the Baden-Wuerttemberg economy medal for outstanding entrepreneurial achievements and special merits for the Baden-Wuerttemberg economy. The Minister of Economy, Dr. Nicole Hoffmeister-Kraut presented the high distinction to 11 exceptional personalities and 3 companies at a ceremony in the New Castle in Stuttgart on December 4, 2018. CellGenix, a global manufacturing leader of GMP-grade raw materials for cell therapy, gene therapy and tissue-engineered products, is pleased to announce the appointment of Dr. Udo Nirenberg as Vice President of Quality Management and member of the management team. 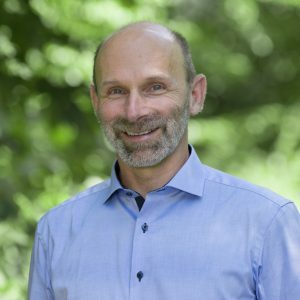 Dr. Udo Nirenberg joined CellGenix in early 2018 as Head of Quality Management where he is responsible for quality control, quality assurance and regulatory affairs. He will now represent these important areas in the management team and contribute to further advancing the high quality of the CellGenix product portfolio. Make your next career step and apply for a CellGenix stipend! CellGenix is proud to support a novel Master program in Manufacturing of Advanced Therapy Medicinal Products. The demand for specialists in process development, manufacturing, quality management and regulatory affairs is large and will continue to increase in the next years. To facilitate growth in the cell and gene therapy space CellGenix is proud to support the Master program in Manufacturing of Advanced Therapy Medicinal Products organized by the Andalusian Initiative for Advanced Therapies and the University of Granada with the collaboration of the Línea IAVANTE ‐ Progress and Health Foundation. The target audience for this pioneering Master’s program are the professionals presently working (or intending to do so) in GMP‐compliant facilities producing cell therapy, gene therapy or tissue engineered products for human use. Get ready and apply for a CellGenix stipend! 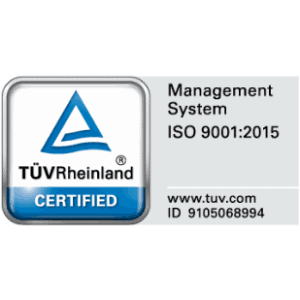 CellGenix has successfully met the requirements defined in DIN EN ISO 9001:2015. By meeting the extensive criteria for this quality standard, CellGenix affirms its commitment to quality and service. 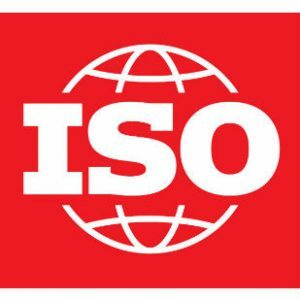 Compared to the previous 9001:2008 version the latest 9001:2015 ISO certification gives more weight to the context of the companies organisation, interested parties and risk assessment. 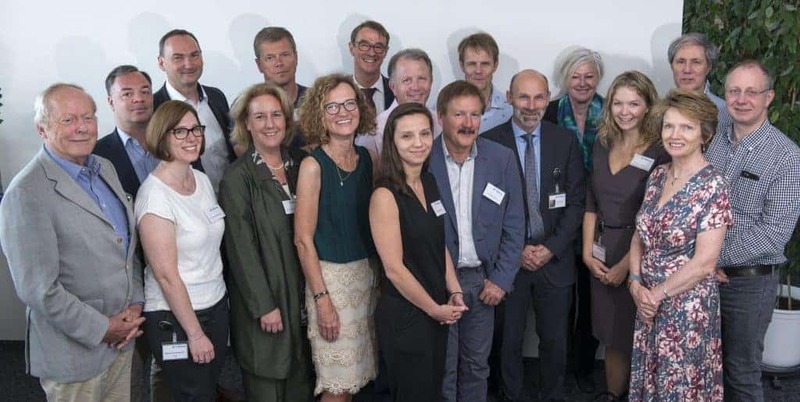 July 12 and 13, 2018 CellGenix has organized and hosted the 6th “Expert Symposium on Chances & Challenges of cell-based therapeutics” at its headquarters in Freiburg, Germany. The symposium has brought together opinion leaders form academia, industry, and regulatory agencies from Europe and the USA to share their perspectives and the most significant advances of their work in cell and gene therapy. This year a focus of presentations was on how T and NK cells can be turned into therapies and how the promise of stem cells can be brought to patients. A big THANK YOU goes to all our participants – it was truly a remarkable meeting! Are you well prepared for large-scale commercial manufacturing? 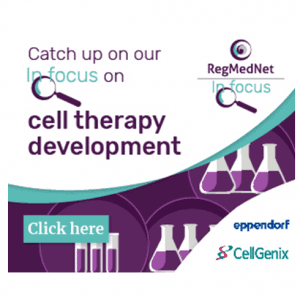 In this interview, Bernd Leistler, Vice President Development & Production, CellGenix GmbH, discusses how raw or ancillary materials can affect cell therapy development and manufacturing. Read the interview here. 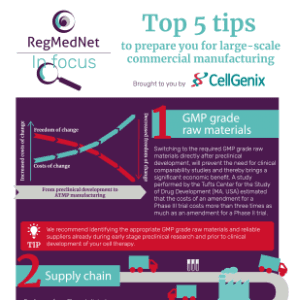 Discover how you can ensure your GMP grade raw material supply chain is prepared for commercial manufacturing. Check out the Top 5 Tips infographic here. Inconsistent product performance of raw materials causes deviations in the cell therapy manufacturing process. It is unlikely that you will be able to use the same raw materials batch during all stages from early clinical studies to commercial manufacturing. It is therefore crucial to choose GMP raw materials with a high and reliable batch-to-batch consistency. This will allow you to plan your manufacturing process as accurately as possible and save time and cost of goods on incoming controls and revalidations. 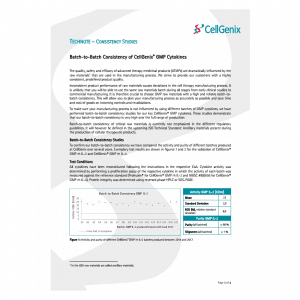 To make sure your manufacturing process is not influenced by using different batches of GMP cytokines, we have performed batch-to-batch consistency studies for our key CellGenix® GMP cytokines. These studies demonstrate that our batch-to-batch consistency is very high over the full range of production. Please download the Technote to have a detailed overview of our batch-to-batch consistency studies. We proudly announce the launch of CAP® cell line derived Recombinant Human Transforming Growth Factor-beta 1. This new preclinical product further expands our cytokines & growth factors portfolio for the cell and gene therapy space. 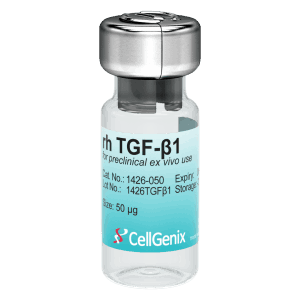 For preclinical ex vivo use. Not intended for therapeutic use.